Freiburg, Germany. 21st June, 2014. 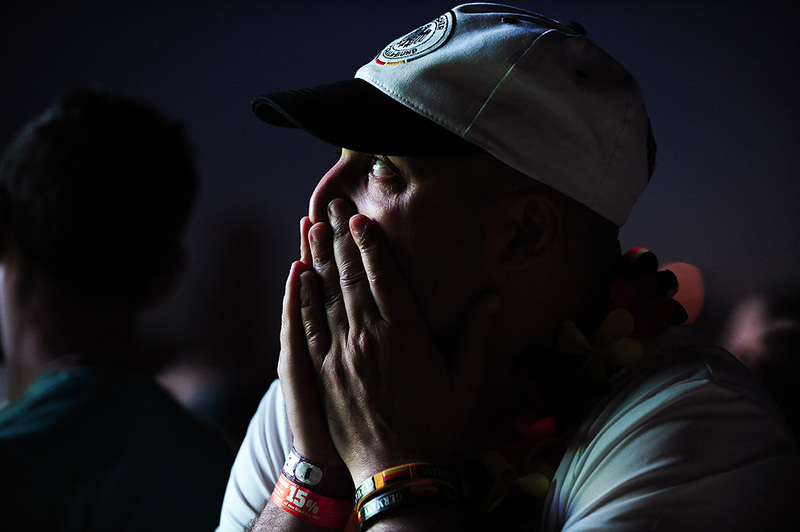 German football fears as he watches a FIFA World Cup 2014 game between Germany and Ghana , broadcast at a large public viewing area in Freiburg, Germany. Final score 2-2.